It's one of those concepts that just makes you smile right away: folding out a Pringles-esque chip can into a serving bowl. 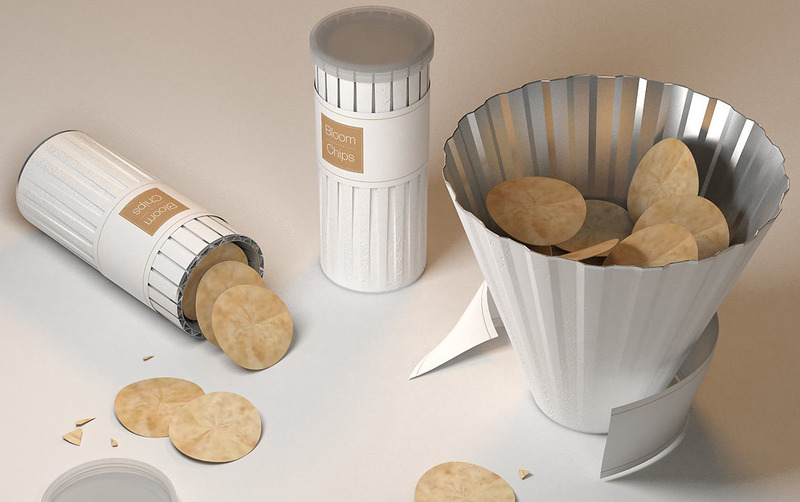 Bloom Chips made some judges smile, too, winning its designers a Red Dot Design Award. It's not without its drawbacks - it can't re-package partially-eaten contents without crushing them to crumbs, and the engineer in me worries about the seal between the lid and the folded top edge of the can. But those are problems for the real world, right? As a concept, this one's plenty clever! You will take out all the chips and keep where?